2 units of LTE Category 3 dongles (Huawei E398). 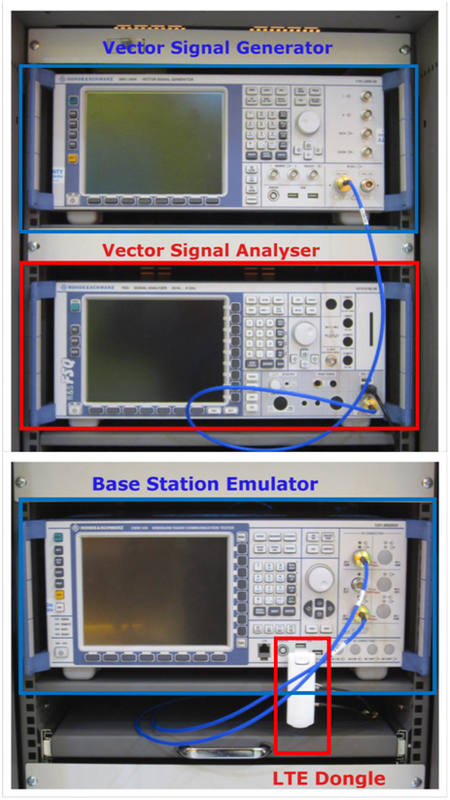 The signal generator and analyser supports 3GPP LTE release 8 specification. The signal generator supports 2X2 MIMO and has a built-in fading and noise simulator to emulate the real wireless channels. The analyser has built-in tools such as power spectrum, waveform viewer, Spectrum Emission Mask (SEM) test, Adjacent Channel Leakage Ratio (ACLR) test, Error Vector Magnitude (EVM) test, and others RF related test and measurement tools. The built-in fading simulator is able to emulate multipath fading (Rayleigh, Ricean, etc), Doppler spread, delay spread, etc of the wireless channel. 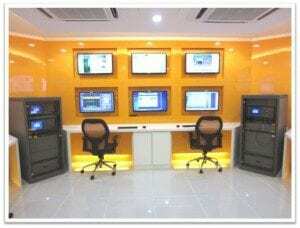 The other set of equipment consist of the base station emulator and the LTE class 3 dongles. The base station emulator simulates not only the LTE eNodeB but also the core network, Evolved Packet Core, (EPC). This setup is important for device testing which covers the whole network protocol stack. The base station emulator also supports legacy technologies such as GERAN (GSM) and UTRAN (WCDMA). With the support of latest LTE lab facility coupled with related technical expertise, WCC has been conducting training and R&D activities in the area of LTE. WCC welcomes interested parties from academic and industries to collaborate in R&D activities in the area of LTE technology.